A foreign company will be involved in the project on creation of a Free Trade Zone (FTZ) in the territory of the Baku International Sea Trade Port located in Azerbaijan's Alat town. The statement was made by Taleh Ziyadov, director general of the Port, during the first meeting of the working group for the creation of the FTZ on June 10. Ziyadov noted that the establishment of the FTZ in the territory of the Baku International Sea Trade Port in Alat will contribute to turning the Port into a transportation and logistics center in Europe. "Negotiations have been held with a foreign company that specializes in the planning and management of free trade zones, and it will soon join the creation of the FTZ in Azerbaijan," he added. Nevertheless, Ziyadov didn't specify the name of a foreign company. Issues like improvement of the legislation, economic feasibility of the creation of FTZ, the concept of development, infrastructure and management of the zone, as well as work on the preparation of proposals relating to the types of entrepreneurial business on its territory were discussed during the meeting of the working group. 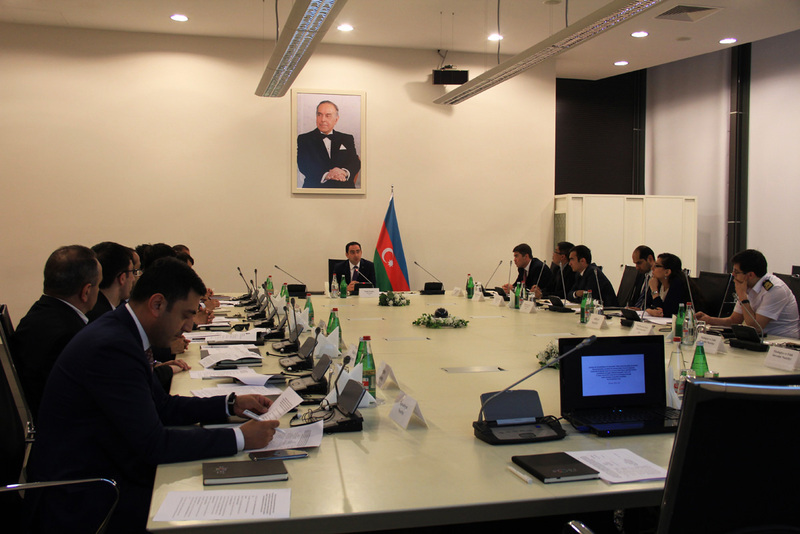 The meeting was attended by representatives of the Azerbaijan’s Ministries of Economy, Taxes, Transport, Environment and Natural Resources, Finance, Justice, as well as, State Customs Committee, State Committee for Property Affairs, Executive Powers of Baku, Azerbaijan Caspian Shipping Company JSC and Azerbaijan Railways. President Ilham Aliyev signed a decree on March 17, 2016 on the measures to create special economic area of a free trade zone type in the Alat township of Baku's Garadagh district. The bill on the free trade zone will be discussed at the autumn session of the Parliament of Azerbaijan. This free trade zone will be the first-ever FTZ of Azerbaijan. It is expected to encourage transport-logistical industry, pharmaceutical cluster, and bases for the supply of oil plants, as well as, the spheres of manufacturing, packing and labeling. The FTZ will bring huge revenues to the state budget of Azerbaijan and attract foreign investors. The FTZ is expected to bring up to $1 billion just in the first few years. However, it will not only make a huge contribution to the economy of Azerbaijan but a whole region. Special tax and customs policy, which will be pursued in the territory of the Free Trade Zone will also stipulate further development and simplification of a number of procedures. The privileges can cover the income tax, VAT, tax of profit and property tax. The Baku International Sea Trade Port located in the Alat settlement, 40 miles south of Baku. The construction of the Baku International Sea Trade Port started in November 2010.